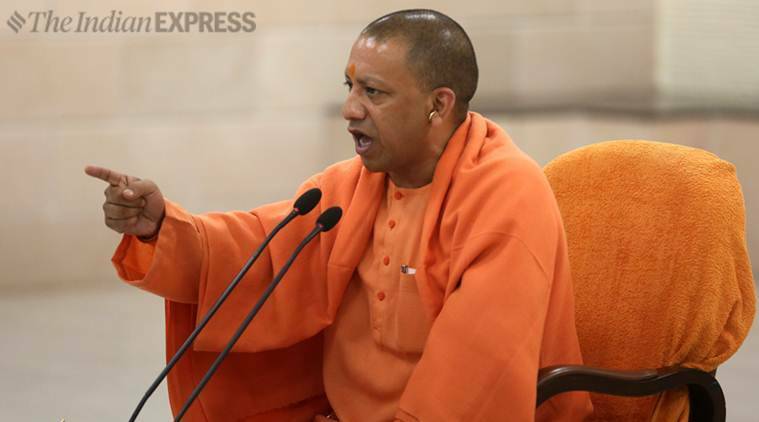 ADDRESSING a public rally in Balurghat over the phone after his helicopter was allegedly denied permission by the West Bengal government to land, Uttar Pradesh Chief Minister Yogi Adityanath on Sunday accused the state administration of “throttling the voice of the Opposition”. Recently, the state government had not let BJP president Amit Shah’s helicopter to land in Malda at a local airport. Shah had later used a helipad of the BSF. The TMC government had also gone to court against BJP rath yatra plans in the state. Adityanath was scheduled to address two rallies, at Balurghat in Dakshin Dinajpur district and at Raigunj in Uttar Dinajpur. BJP leaders claimed the administration did not let them use a helipad in Balurghat for his helicopter. While the administration remained tightlipped over the issue, West Bengal Tourism Minister Gautam Deb said that having “failed to gather people for the rallies”, the BJP had made up the excuse.